And thanks to attractions offered by the nature as well as beauty of prime destinations no one is really disappointed by choosing Iowa for vacations. One of the biggest attractions in Iowa is its State Capitol Building, which was built between 1871 and 1886 in Des Moines. Exploring the superb architecture of the capitol gives you also chance to immerse yourself in the heart of Iowa's state history. Settled by the German Pietists, the Amana Colonies are also a very big tourist attraction. You can go there canoeing, learn about the history of the German settlers but also explore the local restaurants and shops. Another attraction is the Adventure-Land Park. This amusement park provides many rides, games, and shows. Located in Eastern Iowa, and the Iowa's very first state park, Backbone State Park is also one of the most popular campgrounds—so you may want to make reservations. 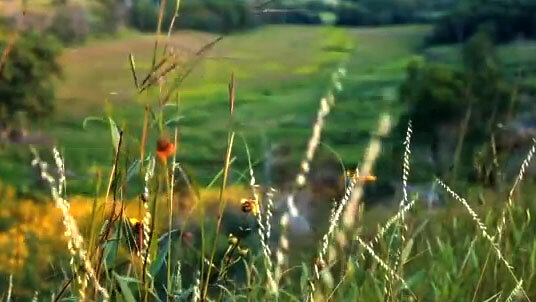 The Maquoketa River cuts a steep ridge or “backbone” in the Iowa landscape, thus inspiring the name it has been given. The park also features 21 miles of hiking trails. It is a wonderful place for bike riding, fishing, and rock climbing. Cabins are available. This unique equestrian campground offers horse stalls, a riding arena, and an equestrian wash station. 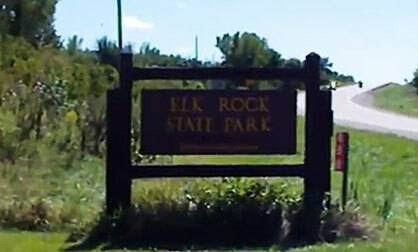 Elk Rock State Park provides camping for both RVs and tents. This camping spot features 13 miles of scenic trails, and it is near Cordova Park which exhibits a 106 foot observations tower. 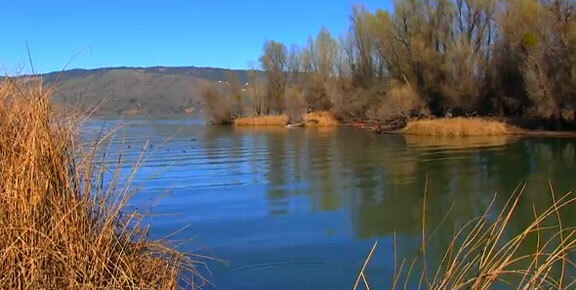 Fishing, boating, and swimming are popular in the nearby Lake Red Rock. The park is situated about an hour from Des Moines. Located in the state forest of Loess Hills, Preparation Canyon State Park encompasses 344 acres. It is worth to mention that the Loess Hills are a unique geological formation resembling no other place on earth except the Yellow River of China. The park offers 5 miles of hiking trails and superb picnic spots. It is located nearly three hours from Des Moines. For anyone who loves water, the Clear Lake State Park is one of the best Iowa destinations for camping. This is a very attractive campground, so you may want to make reservations ahead of arrival. With a trailer dump station, and modern showers and restroom facilities, this park serves convenience as well as comfort. No matter whether you are decked out in an RV or hoisting up a tent, this campground is a great place to enjoy a large beach and beautiful lake. Great for fishing, swimming, and boating, this campground won't leave you disappointed. In the very beginning Wilson Island State Park was nothing but a sandbar in the 1900's. This spacious campground offers seclusion across its cottonwood sands. The park has an area of 544 acres and offers hiking trails, picnic locations, and even hunting. It is often used for cross-country skiing, snowmobiling, and mountain biking. It is located near the Missouri River which is a good place for fishing. The directory of campgrounds: tent and RV camping parks Iowa (IA) gives some idea about where to stay and have some fun when traveling in your motorhome trailer or with a pop up camper. Whether you stay in a state park or a privately owned campground, the lot sizes allow enough room for a mobile home or a smaller motor home. If a beach camp excites you, look for a campground that has lot sites close to the beachfront. Take any recreational vehicle and have a wonderful time while you visit Iowa. See some of area attractions such as the big pink cow or the huge Indian statue. If you love windmills, visit Pella for a look at the Dutch town and the beautiful windmill. The directory of campgrounds: tent and RV camping parks Iowa (IA) lends a helping hand when looking for a campground.